Peace of mind knowing that your Powers of Attorney documents will only be released to your Powers of Attorney in accordance with your explicit instructions. You appoint somebody to make medical and care decisions for you while you are alive. You appoint somebody to make property and financial decisions for you while you are alive. Sometimes things happen in life, which we do not expect to happen. If you become hospitalized or become incapacitated then the ability to make every day decisions and transactions may become extremely difficult. Even day to day activities such as paying bills may become a hardship. Therefore, it is recommended that you make a Power of Attorney for both Personal Care and Property to allow someone you trust to make decisions for you if you become unable to do so. I am named as an Executor/Trustee. What do I do? The Authority of the Executor is granted by the Will, not the grant of probate issued by the Court. An Executor has the full legal authority to deal with the assets of the deceased from the moment of the testator’s (or Testatrix’s) death. However, third parties may refuse to deal with the Executor until the Executor provides letters probate, as it protects third parties. An application for probate can be time consuming. Trying to figure out what to do or which forms to use can be confusing. 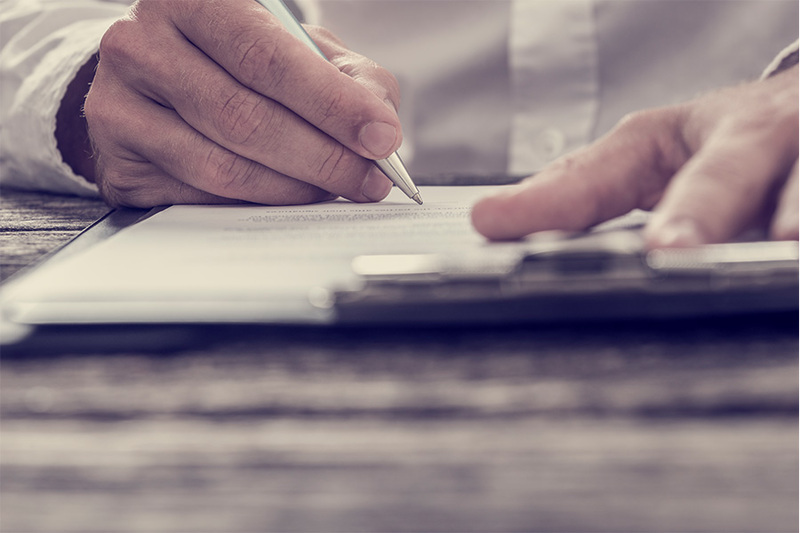 A completed application for probate provides the Executor with a Certificate of Appointment, which confirms that the Last Will and Testament is valid, confirms the Executor can administer the last wishes of the deceased and protects the Executor from liability. "Rod is our new family lawyer. My wife and I were thrilled with Rod's way of making things easy to understand. My business and family are now well protected because of his recommendations.We were especially happy with his teams commitment to providing extraordinary service!"